Hita 4, 28805 Alcala de Henares, Spanje. Hotel Alcala Plaza is a modern business hotel in Madrid. The Alcalá Plaza is a new built hotel, thought for the business people. 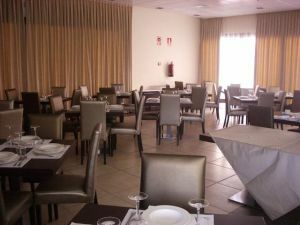 It is located in newly built hotel in Alcalá de Henares, Madrid, the hotel has two complete meeting rooms, with a capacity of until 140 people. It is surrounded by a vast public transportation network and the Alcalá Plaza offers 200 modern and elegant complete rooms to offer. Moreover, there is a large commercial and sports offer in the hotel neighborhoods, offer that consists of tennis and paddle court, indoor swimming pool and rent-a-bike. 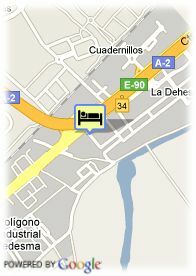 Gratis openlucht parking aan het hotel, Betalende overdekte parking aan het hotel (6.42 €), Busparking. dichtbij treinstation, dichtbij universiteit, Centrum.